Apples new iPhone 5s brings the user an abundance of features to differentiate it from its predecessor, the iPhone 5. A welcoming change to this phone is what’s offered inside it. Apple’s minimalist packaging is apparent with the 5s. The physical components of the phone presents a slim and rectangular figure that’s comfortable to hold. The unibody back plate enables the phone to be thin, light, and strong. It’s aesthetically pleasing to look at this phone. I found the 4 inch diagonal LCD screen to be clear and visible in various lighting situations. Viewing images on the 5s conveys a nice contrast and tone balance. It would be interesting to see Apple go towards a bigger screen with a higher resolution. Ideally, it would be nice to see a 4.5 or 4.7 inch screen size in the next iPhone, because 4 inches seems to be too small for the elements inside the screen for me. Apple has put a curtain over its textured skeuomorphism with a "flat" design. The approach towards this visual minimalism is common with current mobile operating software such as Windows Phone 8. With the addition of a typography heavy interface, you’ll find areas where design precedes over functions. It’s pleasing to have the control center added – I found myself frustrated with having to precede into the settings with iOS6. The notifications are arranged by 3 tabs for an organized view, but I feel that the notifications in iOS7 aren't as dynamic as they can be. With the current iteration of Android notifications feature a dynamic function of controlling certain elements for an app. When I miss a call I can swipe the notification menu down and have the option of instantly messaging or calling them back without going into the app. Animations found in iOS7 have a “character” to them, but are slow paced. After 3 times of reaching back to the home screen I was bothered by the buoyancy of the app icons and the isolation of frosted glass effects, but the layering of the new Multitasking design is a great addition. I wish the elements of design and function would harmonically be balanced together, but the amount of typographic hierarchy in iOS7 deters some functionality. At the end of the day every mobile OS has its pros and cons – Googles hybrid design isn't consistent enough yet. Nevertheless, iOS 7 is a welcomed change and I hope to see what path developers take to make their apps coherent with the OS. The cameras sensor is now 15% bigger coupled with an ƒ/2.2 aperture – a quarter of a stop down from the 5’s ƒ/2.4 aperture size. This means that the 5s can let more light into the phones sensor so it could have better detailed shots in a low-light situation than the 5. The 5s' pixel pitch is 1.5 microns, compared to the HTC One’s size – 2.1 &nbsp;– but we have to take into account that regardless the amount of specs offered in the phone’s camera, it’s all up to the phones sensor to develop a good image. The True Tone flash on the phone features two different LED’s to help process accurate colour temperature. The burst mode in the phone is bloody brilliant. It's a successful attempt of Apple making a phone that has a camera that helps you not miss that "one in a million shot" and if you're "shutter happy" the images will be organized into a collection so you don't have 45 pictures of your cat taking up gallery space. Below are images of the iPhone 5s next compared with the HTC One that features a ƒ/2.0 aperture. Both images above are shot at 'Auto' without a flash nor any HDR processing. The 5s selected a cooler tone than the HTC One. Both seem to have a balance in detail, but the Ones highlights are blown out. You can observe how the wider lens from the One is compared to the 5s. The 5s focused on the camera a second faster than the One and retained a lot of detail from the foreground. The One struggles with focusing on the subject, even though it has a wide aperture the ISO automatically adjusted to a value of 2000. The 5s seems more persistent in low light images than the One, which is a hit-or-miss at times. The room shown above had only one source of light (which was harsh). These are two images zoomed in twice the size of their dimensions. The iPhone takes care of the highlighted parts of the keys a bit better. The focus on the 5s is sharp yet provides the trackpad to appear smooth rather than the One. It's not a difficult assessment to say that the 5s is more well rounded than the One in different shooting situations. In case you were wondering how action shots are on both phones, I was able to shoot 2x more images of a speeding car taking a turn than the One. I personally prefer the 5s' camera over the One, but it'll be interesting to see the 5s against the Lumia 1020. A major asset that was added to this phone was the Touch ID. It’s an intuitive addition that I enjoy utilizing over a passcode or pattern. I used to have a fingerprint sensor on an old IBM ThinkPad that I never used, but for a mobile device it’s a usable feature that Apple totally nailed. Siri takes a minimalist cue and offers more functions. Siri lets you pull down a few settings tabs now, I was impressed that I could prompt Siri to properly pronounce my name – which is profoundly difficult for a lot of people, since it’s Arabic. The move Apple made to being the first smartphone manufacturer to include a 64bit A7 processor seems odd to be featured in a phone. I would understand if it was featured in an iPad for things such as medical imaging. The M7 Motion co-processor incorporates motion data to switch your turn-by-turn walking navigation to street and highway routes if you’re using a car – a feature that helps the compromise of those who use a mix of public transit and other traveling methods. My model of the iPhone 5s is powered with T-Mobiles cell coverage which has decent reception, but staggeringly fast data speeds. A day for me consists of viewing social feeds, constant emails, text messages and a few pictures being taken. During the afternoon the phones battery would be around 30%. and that's If I don't let apps sync in the background. 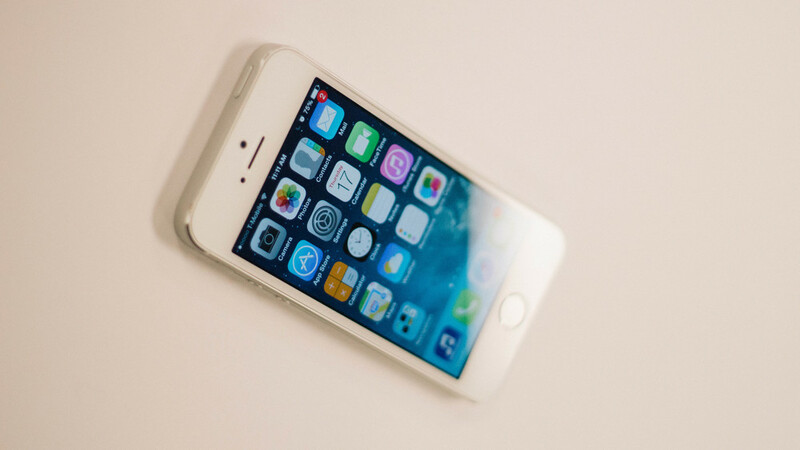 The iPhone 5s is a remarkable device, but many are diffused with the dilemma of upgrading to it, but that could be based on what your current Apple device is. For those with an iPhone model older than the 5 then it’s an ideal upgrade. I admire the features bundled with the 5s, but the OS has compromises I couldn't resort to. It’s like having a nice sports car, but only being able to drive up to 50 mph. People give Apple high expectations for their products, but should realize that Apple didn't invent water, but made it taste better. This is a phone with a different touch, but without a remarkable edge to it.